KERRY South TD Michael Healy-Rae had an unusual request for the Taoiseach last night in the Dáil, eventually getting him to agree to be interviewed on Radio Kerry. During the Order of Business on Tuesday evening, Healy-Rae said to Enda Kenny that he was the only Taoiseach to have refused to go on Radio Kerry at any stage since he was elected Taoiseach four and a half years ago. After a lively exchange between Healy-Rae and the Ceann Comhairle, the Taoiseach agreed to go on Radio Kerry’s ‘Kerry Today’ programme. Deputy Michael Healy-Rae: The Taoiseach is in a unique position in that he is the only party leader who has refused to go on Radio Kerry to debate current issues. An Ceann Comhairle: Hold on one second. An Ceann Comhairle: I can tell the Deputy that it is not an issue for the Order of Business. Deputy Michael Healy-Rae: No, it concerns the Government’s policy on openness and transparency. I have a question for the Taoiseach. Jerry O’Sullivan has been looking for him to go on Radio Kerry for a long time. An Ceann Comhairle: The Deputy can table a question or go and talk to him, but he may not raise the issue on the Order of Business. An Ceann Comhairle: No, I am sorry, the Deputy is totally out of order. Deputy Michael Healy-Rae: I am sorry, but I am not. An Ceann Comhairle: The Deputy is totally out of order. 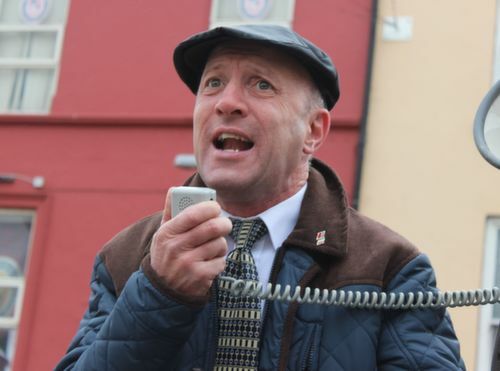 Deputy Michael Healy-Rae: I am not. An Ceann Comhairle: Will the Deputy, please, resume his seat? Deputy Michael Healy-Rae: This relates to Government policy on openness and transparency. An Ceann Comhairle: I do not care what Government policy states; I am dealing with the Order of Business. 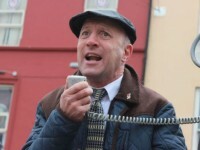 Deputy Michael Healy-Rae: —-to talk about current issues, in the way the other party leaders have done. The Taoiseach: I would be delighted to do so. Deputy Michael Healy-Rae: I thank the Taoiseach. An Ceann Comhairle: Please, do not respond.